The long arm of the Inquisition, or the "Holy Office," reached at least as far as 16th-century Mexico (known as New Spain at the time). Many Spanish Catholics of Moorish or Jewish origin found it expedient to flee to the New World to escape the suffocating attentions of the Inquisition. In Spain, simply being descended from these suspect peoples is sufficient to guarantee a gruesome death by immolation. In the New World, it took slightly more. 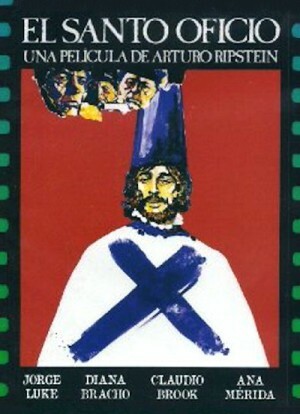 This 1974 Mexican film deals with the suffering of one family of conversos who are secretly practicing Judaism and are betrayed to the Inquisition by a family member. Interestingly, a small family clan of such secret Jews was discovered in New Mexico as recently as the late 1980s. They managed to keep their faith a secret for nearly five hundred years. Decisions, decisions: Given the choice between an older, highly regarded star of the French literary set and a young, impetuous heir to a pharmaceutical fortune, what's a girl to do? In A Girl Cut In Two, director Claude Chabrol's latest takedown of the bourgeoisie, that's actually a trick question. Because when you're an upstart TV weathergirl who still lives with her mother, and you're seeing men with the wealth and privilege to toy with your affections, you may find that your options are severely limited. As the title implies, the heroine, played by the luscious Ludivine Sagnier (Swimming Pool), is torn between men who ultimately hold her fate in their hands, despite her bewitching effect on both of them. 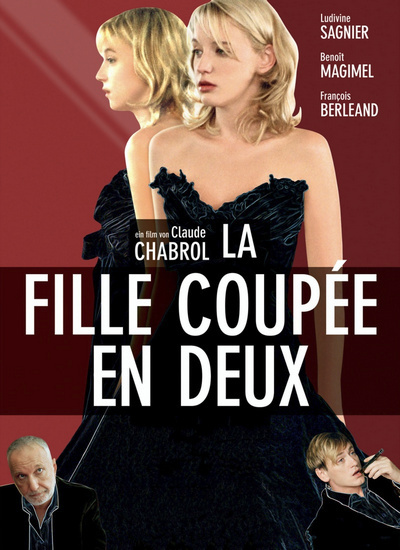 Fusing acrid black comedy with twistiness of one of his famed Hitchcockian thrillers, Chabrol patiently—really too patiently—reveals the conflicting forces that lead Sagnier into trouble, and they have as much to do with class as they do with matters of the heart. Delfina and Maria de Jesus Gonzalez (known as "Las Poquianchis") were two sisters from the Mexican state of Guanajuato, located 200 miles north of Mexico City. From the 1950s until the mid-1960s the sisters ran Rancho El Angel, called the "bordello from hell" in San Francisco del Rincon. When the police searched the sisters’ property, they found 11 men, 80 women, and several fetuses. "Las Poquianchis" tells the story of the girls who were taken from their families under false promises and sent to the Poquianchis brothel. On arriving there, the girls were virtually kept as prisoners and forced to work as prostitutes - they were mistreated and sometimes even killed. The film keeps almost always a closed, dark atmosphere, which can be suffocating, but reflecting accurately the kind of life the girls in this ring were living. Edward Yang's ambitious and satiric 1994 Taiwanese feature, set over a couple of frenetic days in Taipei, deals with some of the effects of capitalism on personal relationships, weaving a web of romantic, sexual, and professional intrigues among an energetic businesswoman, her reckless fiance, a TV talk-show hostess, an alienated novelist, an avant-garde playwright, and others. 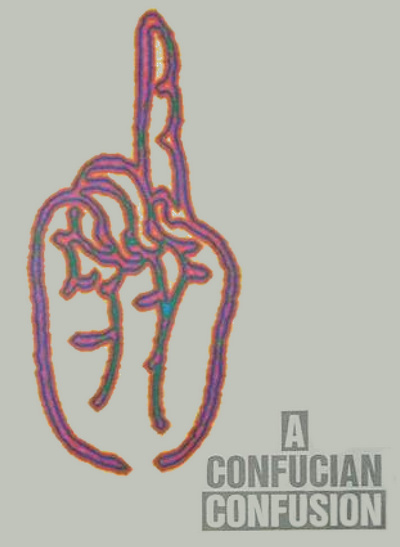 As the title suggests, the collision between ancient Chinese beliefs and current economic trends creates a certain sense of vertigo, and this dense comic drama catches the feeling precisely. Following the preparation of “Ledtradar” (“Clues”), the first retrospective exhibition of Carl Johan De Geer, director Kersti Grunditz examines the life and work of the famous and controversial Swedish artist. De Geer, after a bourgeois upbringing, abandoned his noble heritage for the bohemian circles of Stockholm, and in the spirit of the progressive sixties, began to form his trademark do-it-yourself aesthetics. Since then, he has alternately been a printmaker, painter, set designer, sculptor, writer and filmmaker. 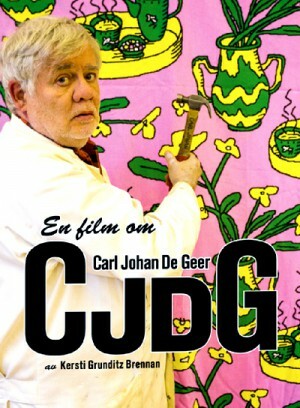 During his five decades as an artist, Carl Johan De Geer has playfully leaped between genres and art forms such as painting, children's television and literature. All of it with a powerful political commitment and a large measure of absurdism. In CJDG, we follow his work on exhibitions in New York as well as Stockholm. Detectives DiVinci and Rodriguez are two corrupt cops who've set up their own lucrative drug business. Their scam is simple, yet deadly. These two sell drugs to dealers. But once the exchange is made, the cops kill the buyer, take back the drugs to sell to someone else, and pockets the money. It's a lucrative racket that has worked without a hitch for months. 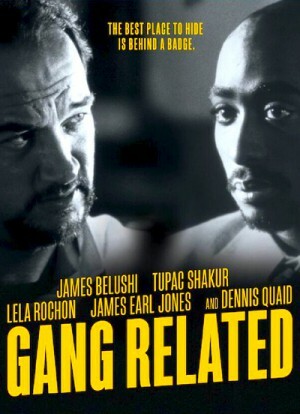 But when they discover their latest victim was an undercover officer with the Drug Enforcement Agency, the two corrupt cops are forced to initiate a dangerous scheme to save their own lives. And as their foolproof plan begins to spiral out of control, Divinci and Rodrigues are trapped in a tornado of suspicion, betrayal and murder in which they can trust no one ... not even each other. Bessie Love and Harrison Ford star in this brisk comedy about a family that travels west to California to pay the back taxes on their house. Bessie is the brains in the family, and Ford is a sometime boy friend. Vintage cars, scenery, a snappy script and the two stars make this one great fun. A charming and funny film. 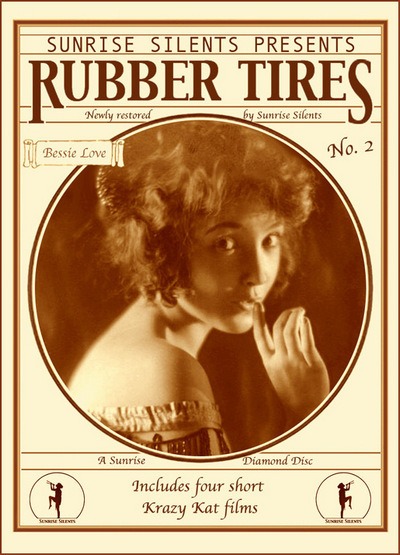 Includes four short Karzy Kat films (Bray Studios - 1920). Animation based on the comic strip by George Herriman. 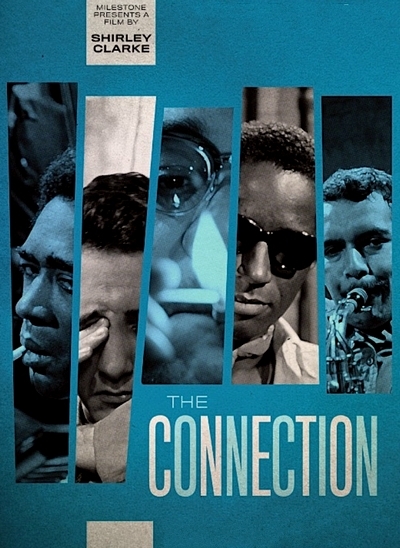 Shirley Clarke's legendary low-budget feature, completed in 1961 (and effectively suppressed by the censors), finally gets the release it deserves. The Connection is a jazz film, and it's also a film about junkies. Not all jazz films revolve around substance abuse, but many do: Otto Preminger's The Man with the Golden Arm, Bertrand Tavernier's Round Midnight, etc. Eight drug addicts gather in a Manhattan loft to wait for their connection. To pay for their drugs, they have agreed to allow Dunn, a would-be documentary filmmaker, to photograph them. Film within a film records their conversation, reflections, and an impromptu jam session involving four of the junkies who are musicians. The "connection" arrives with a soldier from the Salvation Army, who suspects the addicts are drinking and beats a hasty retreat. Dunn is then persuaded to try some heroin so that he will have a deeper understanding of the subject of his film, and he becomes violently ill. This short Holocaust documentary by French New Wave filmmaker Alain Resnais ("Muriel"/"Hiroshima, Mon Amour"/"Last Year at Marienbad") is one of the most powerful made on the subject and still remains timely. It deals with Resnais' pet theme of repressed memory. It effectively uses unsettling black-and-white archival footage recorded during the postwar liberation. It shows the interned prisoners arriving at night to the concentration camp along with footage of Hitler and his maniacal henchmen Heinrich Himmler, Reinhard Heydrich and Julius Streicher, and uses color film as it intermixes that against the serene modern-day landscape of an autumnal abandoned Auschwitz with its rusted wire, harmless looking rundown buildings and its no longer functioning crematoria. It sets a tone of muted outrage at such inhumanity and makes you wonder why the world couldn't see these horrid deeds when they were taking place. 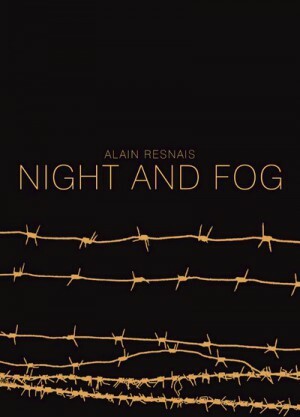 The night part of the title indicates how the death camps operated under the cloak of darkness to hide it from the world; the fog part indicates how cloudy the world's memories are and how knowledge is suppressed in our subconsciousness so that we tune out who is responsible for these crimes against mankind. 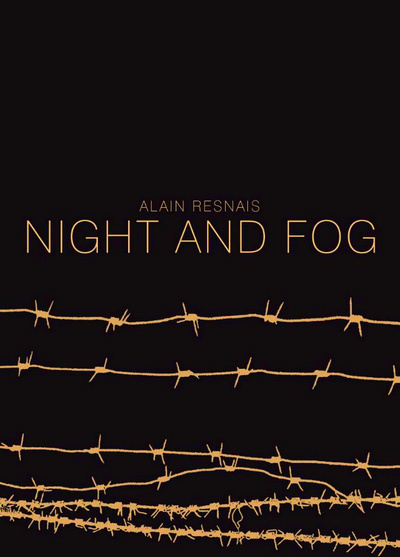 If the fog is not lifted over that suppression, Resnais is certain these atrocities will happen again. Whilst on a fishing vacation in Winnoga a reporter discovers that the lake he is trying to catch trout in has been empty of fish ever since the fish mysteriously died and no one in the town is willing to talk about it. With his investigative instincts kicking in the reporter quickly discovers that his hanging around and constant snooping doesn't go down well especially when he discovers that a group of mysterious men have taken over a lodge on the lake. With just the sister of the local doctor on his side they try to get to the bottom of who these mysterious men are and what they are up to and why? 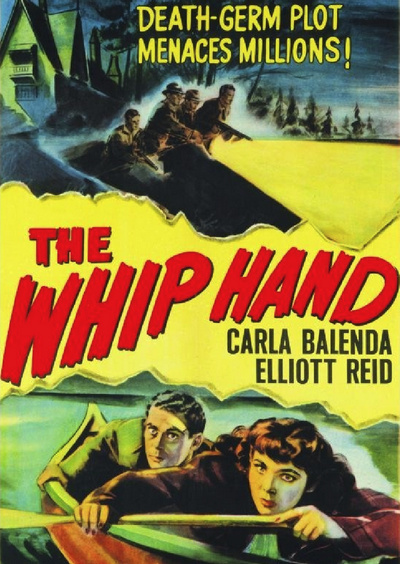 Another of Howard Hughes' anti-communist propaganda films, this was originally made as THE MAN HE FOUND and concerned Adolf Hitler, alive and well and plotting away in the secure confines of a small town in the postwar US. After the production was wrapped, cut, and ready for release, Hughes opted for communist bogeymen instead of Hitler, so it was back to the storyboards, and only a workmanlike effort by Menzies made this a decent picture despite the decrepit material.